By Wey Lynn Liong - Events Editor · April 14th, 2019 at 11:04 a.m. Celebrating the end of the term with Recess 2019. 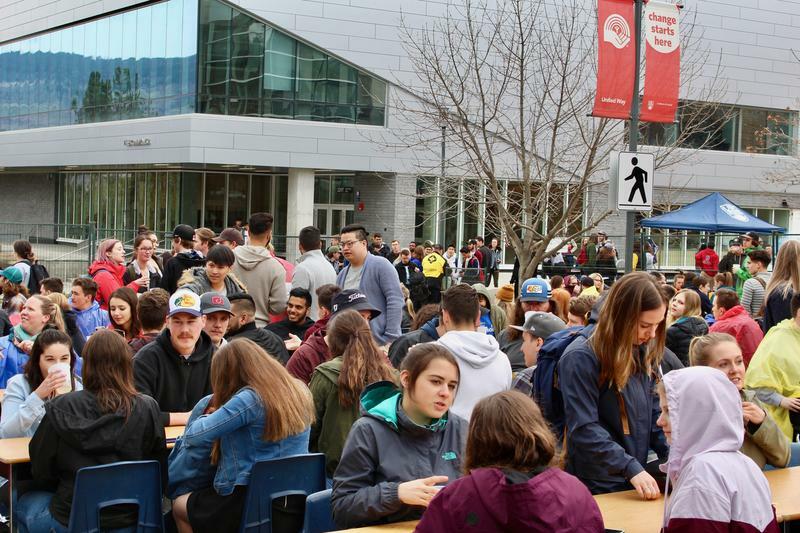 Recess 2019, one of the biggest events of the semester, happened on April 3 and 4. What ended up being a two day event took place in various locations around campus throughout the day, giving students a chance to drop by and listen to some music, drink some beer, and play some games in between classes. The best part about it all was that the whole event was free. Despite the rainy weather, the event still went on without a hitch, starting off with a barbeque that was held in front of the Fipke building, followed by a beer garden on University Way. The beer garden was accompanied by live music from Gavn, TLNT, Betta Boyz and Cotis. The first day of the event ended with the last Well Wednesday of the semester, featuring DJ Lorenzo, DJ Mini and Slim Tyme. Thankfully, the weather was sunny on the next day when the courtyard was turned into a carnival. There were booths that had snow cones, popcorn, and cotton candy. Not only that, the courtyard was filled with carnival games such as the Bungee Run, Hungry Hippo, Giant Jenga, Jousting and many more. There was also a photo booth for students to keep a record of their memories. Though the event was held during one of the busiest times of the year, the student turnout was great. According to Dotto, there were no incident reports and the event was very well received by the students. Due to the success of the event, students can expect the next Recess to be just as accommodating of the entire student body. Dotto placed her confidence in Ali Poostizadeh, the elected VP Campus Life, who will be in charge of hosting Recess 2020 for the UBCO campus community.